It's no secret that I own and admire Yamada-San's revolutionary Model 5000 MkIV D/A converter. 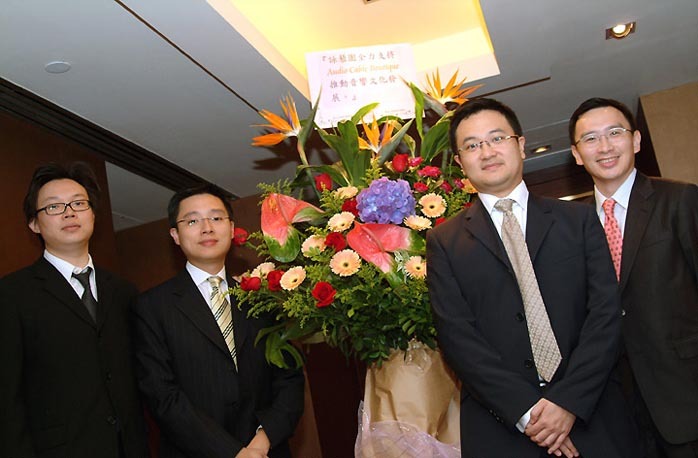 Earlier this month, Yamada of Zanden Audio and his Pacific Rim distributor Hideo Kitazawa as well as Jürgen Scheuring from Germany's Ascendo GmbH participated in a special event hosted by ACB of Hong Kong. Hideo had promised us to cover this event by acting as our impromptu Far-Eastern correspondent for the occasion. Alas, a computer crash wiped out his respective photos and notes. Ever resourceful, Hideo introduced us to Linnmann, a Hong Kong audiophile reporter who graciously allowed us the use not only of his photos but also penned an English commentary on the spot, to parallel the excellent Asian on-line coverage of www.avbuzz.com. Consider this report the result of a spontaneous and informal 'syndication' with our music-loving friends in Hong Kong. Gracias, amigos! 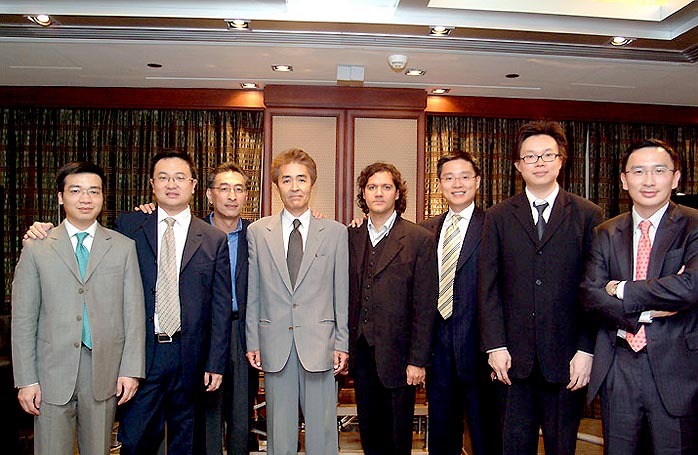 Mr. Yamada Kazutoshi (owner and founder of Zanden Audio in Japan - 4th from left in above photo) came to Hong Kong to share his design philosophy and life-long quest for the faithful reproduction of music with dedicated music and audio connoisseurs. His various roles of technical director, audio engineer and concert coordinator have spanned over 700 live performances both in the Jazz and Classical realms. This background gives him first-hand experience of the enormous gap that separates live and reproduced music. He understands that to solely stress engineering excellence and superior craftsmanship in audio designs may not necessarily get us any closer to the music. In order to design audio gear that can transport the listener back to all those invaluable live performances buried in our favorite recordings, he believes one has to understand music and live sound intimately. He sees it as his sacred mission to bridge that gap and materializes his efforts in the equipment that was presented at this seminar. 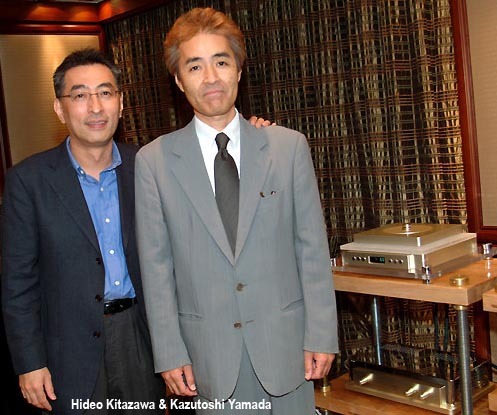 In order to test Yamada's claims, ACB invited distinguished performers for live demonstrations as well as to assess how close Zanden's equipment could replicate reality from a musician's point of view. The musicians who performed on that day were Mr. 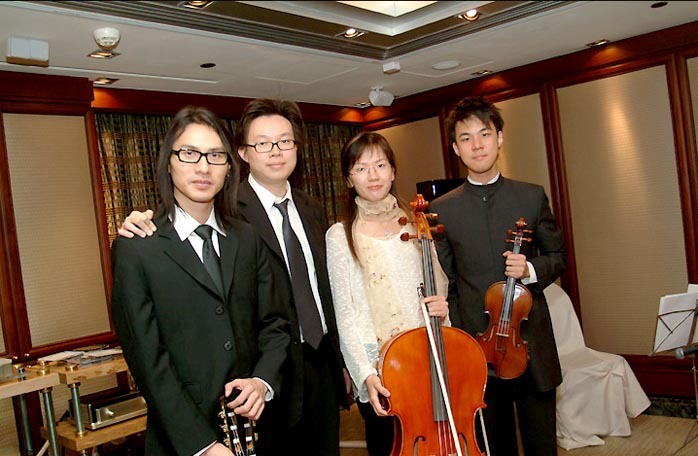 So Long Ming (1st guitarist of the Hong Kong Guitar Orchestra); Mr. Simon Lui (1st violinist of Hong Kong's Stage Ensemble); and Ms. Pinko Ko (cellist of Hong Kong's Stage Ensemble). 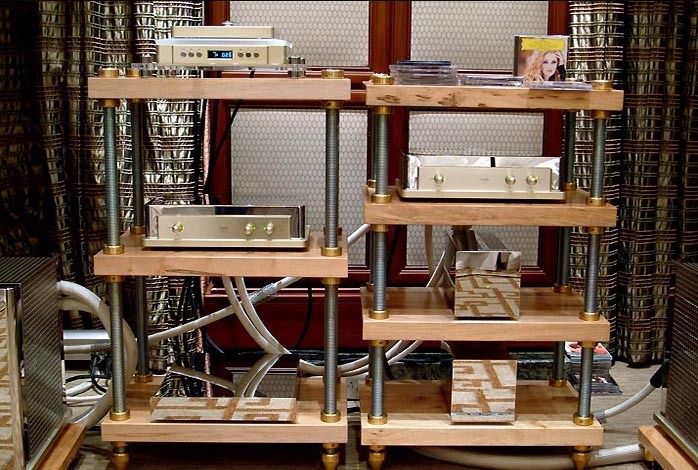 The system included the following: Zanden Model 2000 premium transport; Zanden Model 5000 signature DAC; Zanden Model 3000 linestage; Zanden Model 9500Mk2 monoblock amplifiers; Ascendo M speaker system; Argento Serenity Master Reference interconnects; Argento Serenity Master Reference Extreme Edition speaker cables; and Argento Serenity Master Reference power cord. Music director JLam was coordinating the musical live performances of the Zanden show. He led the musicians to perform the Last Emperor Theme Music by Ryuichi Sakamoto alongside the same CD playing through the Zanden system! In the absence of a piano that is present in the recording, Jlam had skillfully replaced it with a guitar transcription during the first 3 minutes and 29 seconds of the pure live performance. This was followed by an episode wherein the violinist and cellist were accompanied by the Zanden system and the piano from the original recording - we hit the play button on the Model 2000p transport exactly at 3:29. The sound of the live instruments blended so well with the background piano that some audience members could be seen actively searching for a real piano in the room! The audience also could not differentiate the live sound of the violin and cello from their likenesses reproduced by the Zanden electronics. This proved one important thing: Zanden Audio reproduces the tonality of musical instruments with great clarity and precision. 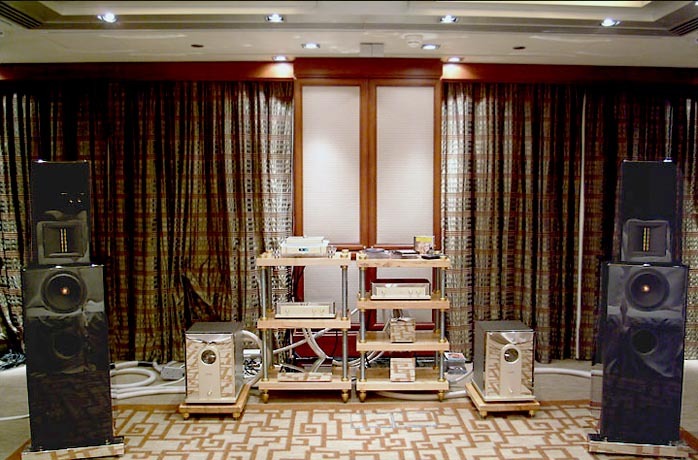 This section earned a lightning of applause from all as a class act in the domain of Hong Kong high-end audio where few audio companies dare enter such a comparison. Before the show began, Jlam commented on how to the local high-end community, perceived brand prestige and high second-hand values are more important than actual sound quality. Audiophiles simply equate resale value with good sound, responding to peer pressure from the majority of HiFi media which hypnotize their readers with the prestige of ownership in the absence of true music knowledge and a more objective system of evaluation. We don't believe this is a healthy development and many who attended nodded their heads in quiet agreement. 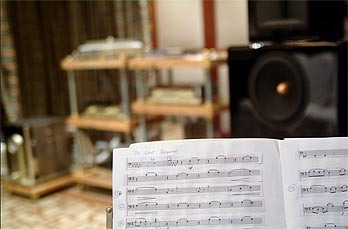 One hopes that we can use high-end audio as a platform to elevate the importance of musical culture here in Hong Kong. Let the show begin! The musicians performed various pieces of music after the audience had first listened to each over the Zanden system. This was followed by an interactive Q & A section in which Jlam asked the musicians about their observations. Given that the violinist, cellist and guitarist performed exactly the same songs just played back over CD, they were in a unique position to judge whether the system could faithfully reproduce the techniques required to play those scores and to share their perspectives with the audience. With this novel feedback approach, we barely overheard any samples of the sacred audio vocabulary like imaging, dynamics, treble extension or bass slam on that day. Instead, everyone was focused to learn more about the musicians' perspective on how to evaluate a high-end system. We began such comparisons with the violin, followed by cello and then guitar. Perhaps the most shocking comparison came at the hands of Mr. So Long Ming whose Spanish guitar of the recording was the same he used to play live that day. Sitting in the mid-row section, it was not easy at all to tell the difference between the recorded and live guitars. 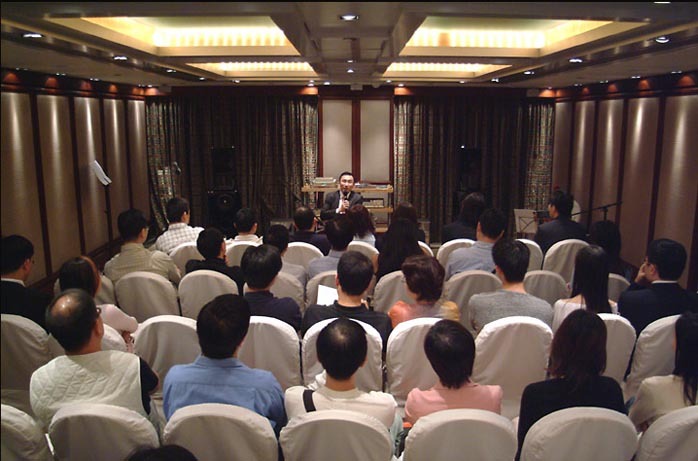 In the middle session of the show, ACB had the honor of having Wilson Leung, a well-known and dedicated music/ audiophile of the local high-end scene, share his Zanden experience with the audience from a user's perspective. Alecy, another heavyweight speaker of the day, then moved to the topic of music appreciation by telling us the story behind "Gerardo Matos Rodriguez arr. Bosso". In his view, it is fruitful to read up on the historical background of any given piece of music or its composer before starting to enjoy the music. Then the listener may relate the music to an actual period back in time. The audio system -- if of the appropriate caliber -- thus acts as a quasi time machine to transport us back into a different milieu of values and perceptions. 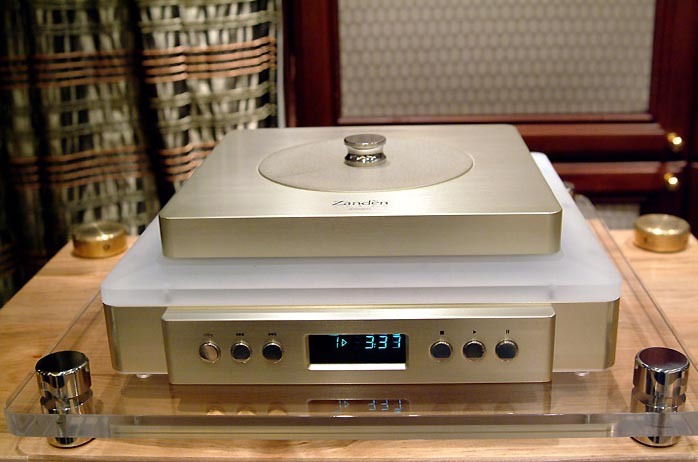 Perhaps the most exciting part to audiophile sensibilities of that day was the demonstration of Argento's Serenity Master Reference power cord by Marvel -- another well-known Hong Kong audiophile -- in tandem with the Zanden DAC. The improvement was beyond anyone's wildest imagination. One could tell this easily from the facial expressions of the three musicians. In their exact word, the enrichment of harmonic decay along with a dramatic improvement in transparency narrowed the gap between live music and reproduced sound even more. The tonality of the recorded Spanish guitar used by Mr. So was getting closer yet to the live experience after the Zanden DAC was connected to the SMR power cord. The purpose of this show was not only to introduce great products to the audience but to plant the idea of utilizing high-end audio as a means to encounter music rather than viewing the equipment as an end unto itself. While it is certainly fun and interesting to change the sound every now and then, it may be more rewarding yet to find out whether such changes equal to an improvement of musical communicativeness or not. We can certainly agree that everyone has particular preferences for music but wouldn't it sound a bit peculiar to state that one prefers a cleaner tone from David Oistrakh's interpretation of Beethoven's Romances in F when music lovers know full well that Mr. Oistrakh's violin tone was usually warm? After all, this is well documented by numerous international commentaries. gleaned when true knowledge of music caps off those valuable audiophile foundations. After silence, that which comes nearest to expressing the inexpressible is music. It is our innocent wish that more audiophiles will acquire new perspectives and skills and become better equipped while in search of their personal musical utopias.